Years of drilling experience in all types of geological environments assure competent well design. The Inspire Team has planned, managed, and completed projects on thousands of wells: high temperature, high pressure, high deviation, and horizontal bore holes, onshore and offshore across the Gulf south region and beyond. Extensive research and evaluation of offset well data is used to produce a comprehensive well plan that includes casing design, mud requirements, and completion options. 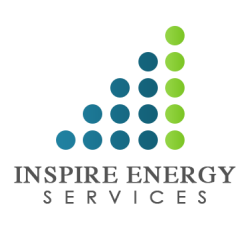 The Inspire Energy Services Team includes qualified consultants that are available to provide wellsite and office supervision for drilling, completion, workover, and abandonment operations, either individually or on a larger project basis. The Team can also provide consultants who are specialists in coil tubing, snubbing, and wireline operations. These experienced professionals are able to supervise procedures including production zone changes, sand control, stimulation, bottom hole pressure acquisition, and other downhole operations. These services can also be provided on a project management basis. Additionally we can design and supervise the installation of new facilities and the modification of existing ones. Other services provided by this group of construction consultants include rig platform modifications and decommissioning, salvage operations, and site clearance.